be quiet! 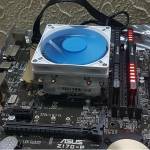 is well-known within the PC community and for good reason. 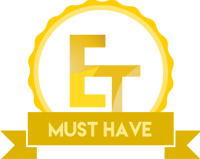 Not only do they offer products that are pleasing to the eye, their products are also of very high-quality and offer great performance. On top of all this, be quiet! is one of those companies that have a very telltale colour scheme to most of their products. While some may say black is not a colour scheme, when you through in a subtle hint of orange, you can be sure be quiet! isn’t far away! 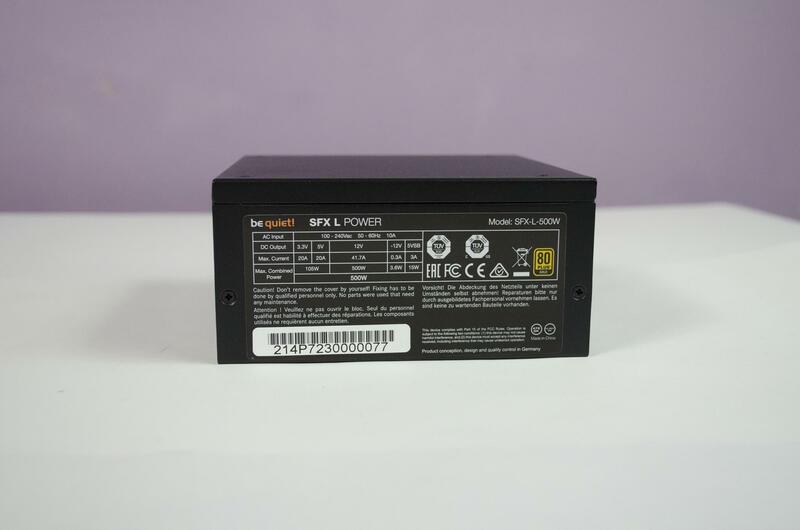 Today, we will be taking a quick look at one of their latest Power Supplies by way of the SFX L and we have been sent the 500W version. 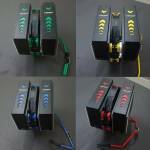 The SFX L range of PSU is design for Mini-ITX and compact gaming PC’s where space is limited. This PSU is much smaller than your average PC PSU but thanks to it’s 80 PLUS Gold rating is still powerful enough to handle a multi-GPU system! 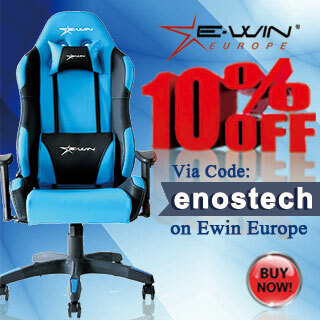 The 80 PLUS Gold rating means it performs at least at 92% efficiency which is amazing. Small and mighty is what comes to mind and when you see this thing, you will be amazed at what it has to offer in such a small package. 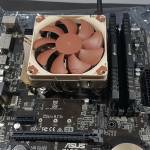 If you are considering a SFF build in the near future, you will want to read on! 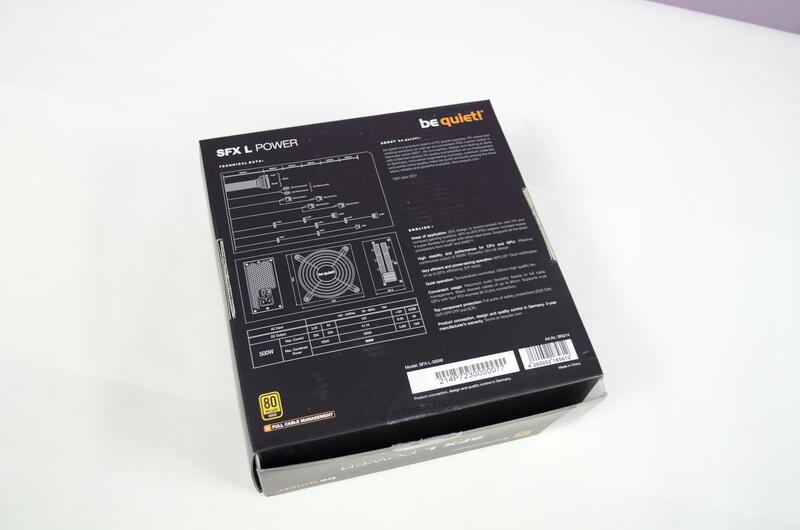 The packaging is exactly what we would expect to see from be quiet!. Even without any text, you would easily be able to tell this is one of their products. On the front, we have a nice image of where the cables will plug into the PSU which also lets us see this is a fully-modular PSU. On the back, we have dimensions of the PSU and included cables so we can make sure this will fit where needed and that the cables will reach their desired destination. Taking everything out of the box and for such a small package, there is a lot going on. 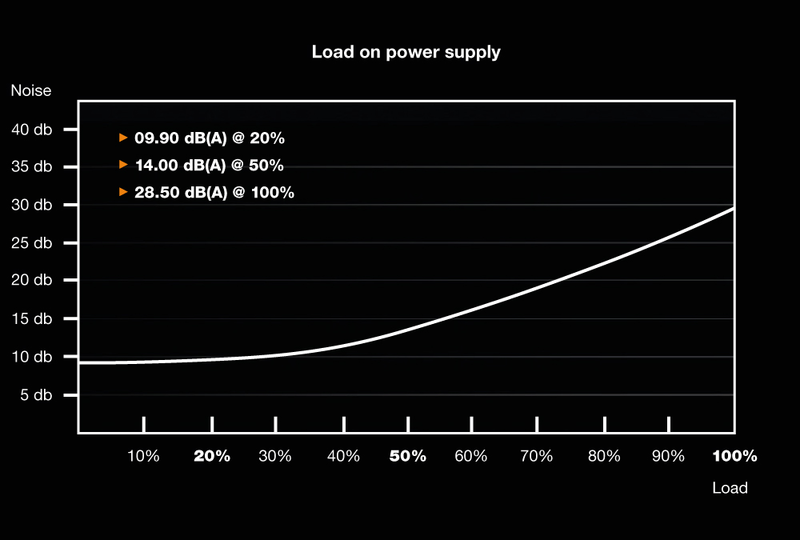 There are plenty of cables to power most any system that can use a 500W PSU including a power cable. There is also even a bracket that will allow you to use this power supply in any case that takes a normal sized PSU which is always handy! There are also some screws to fix the power supply securely and, of course, a users manual. 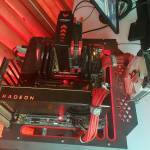 The unit is hardly any bigger than the 120mm fan provided to cool it and that is seriously impressive. It wasn’t too many years ago that 80 PLUS Gold PSUs were still rather uncommon. 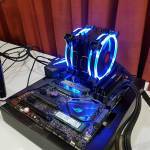 Now, we have them in size no bigger than a fan at that is truly fantastic for all of you who like SFF PC builds. The metal grill that is protecting the fan is easily removed so it can be cleaned with ease. However, please do not remove this unless you know what you’re doing as even with the mains cable unplugged, it can be possible for the PSU to retain power inside it. There is a nice little be quiet! logo stretching down one side of the casing. One thing I have always been a fan off is having an on/off button on my PSU. While it likely makes no real difference, I do like to flip that extra switch on the PSU when I want to make sure that power is off. Also, notice that this backside is still well ventilated to help make sure the PSU doesn’t overheat. 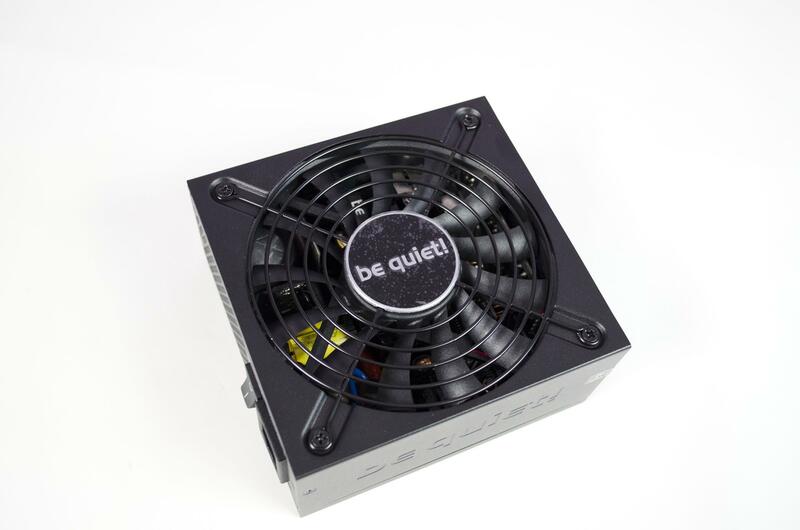 The parallel side to the logo features a sticker with all the important information that is required to be on a PSU. There is a warranty void if removed sticker which means if you open it up, you’ll void your warranty! 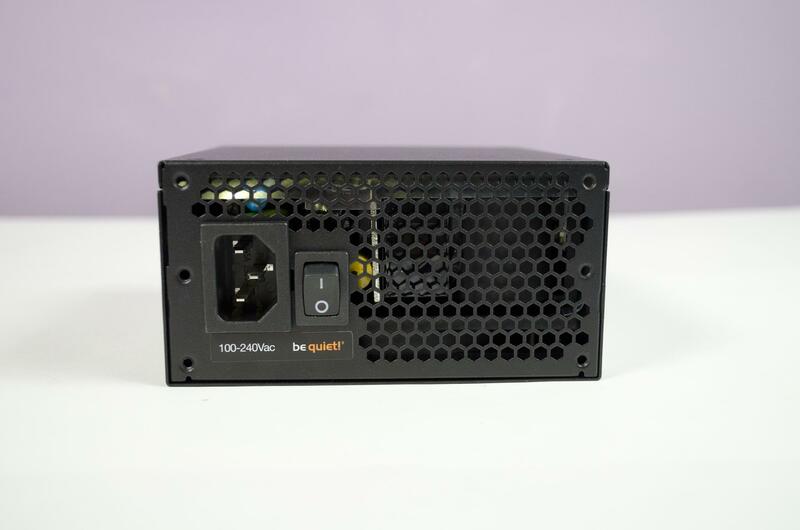 As you can see, the SFX L is completely modular which will certainly come in handing when routing cables in such small builds as this PSU is designed for! While we don’t currently have an ATE Load to fully test power supplies, I did hook it up to a multi-meter and run some tests on it for fun. While checking the voltages running through the lines, I used a number of gaming and synthetics tests to stress the test system! During all my testing that I was able to do, the SFX L held it’s own and what little readings I could get were always within their respective ranges. 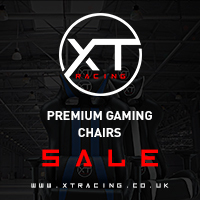 One thing I will say is the 80 PLUS Gold Rating, 3-year warranty and fact this is a be quiet! product personally gives me peace of mind when using it as I have the utmost faith in them. 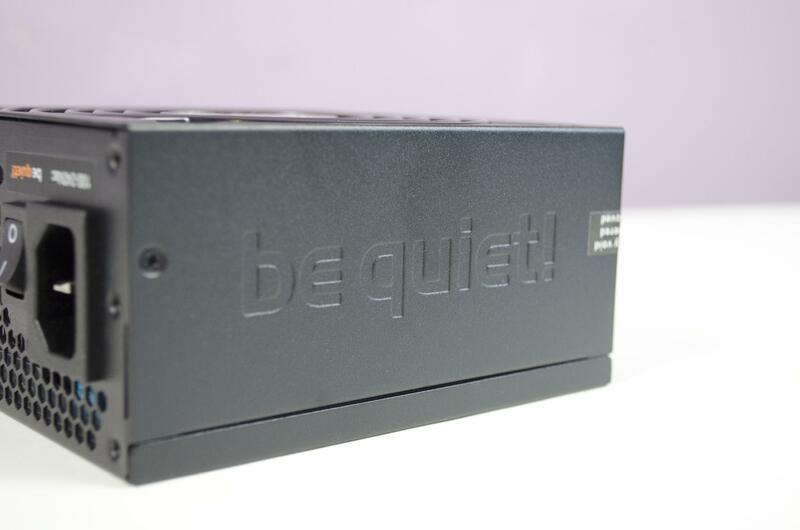 When it comes to the looks, this looks very similar to other PSUs we have seen from be quiet!, just much smaller. 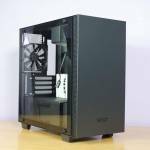 Those who are interested in SFF build or custom builds may find to be a perfect fit. 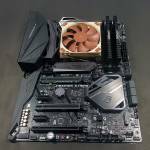 Coming in just a bit bigger than the 120mm fan that cools it, the SFX L is sure to fit almost anywhere it is needed. 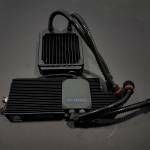 Those looking to use it in place of a normal PSU will find the included bracket useful as this will allow you to mount it inside cases that are designed for more standard sized PSUs. 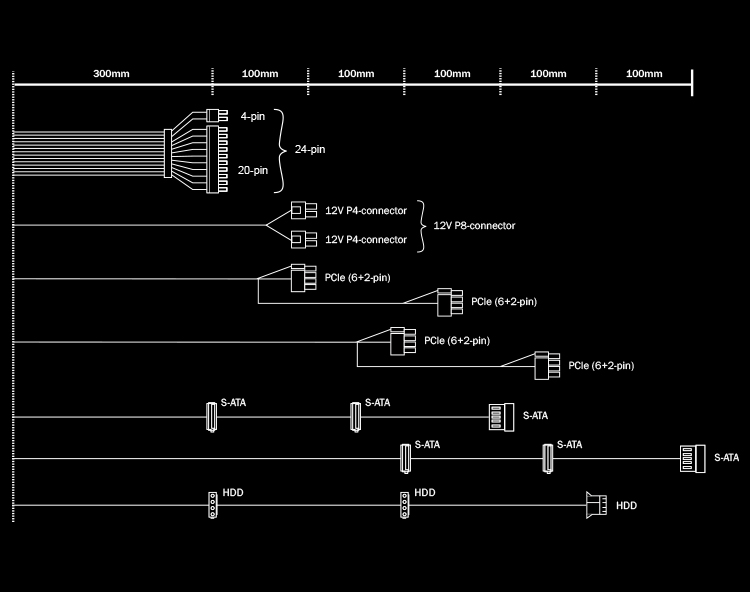 Some people may not be fans of a fully modular PSU stating the obvious that the two power cables will need to be plugged in regardless. However, they are forgetting not having them permanently connected to the PSU makes it a bit easier to route cables, especially in tight spots so kudos to be quiet! 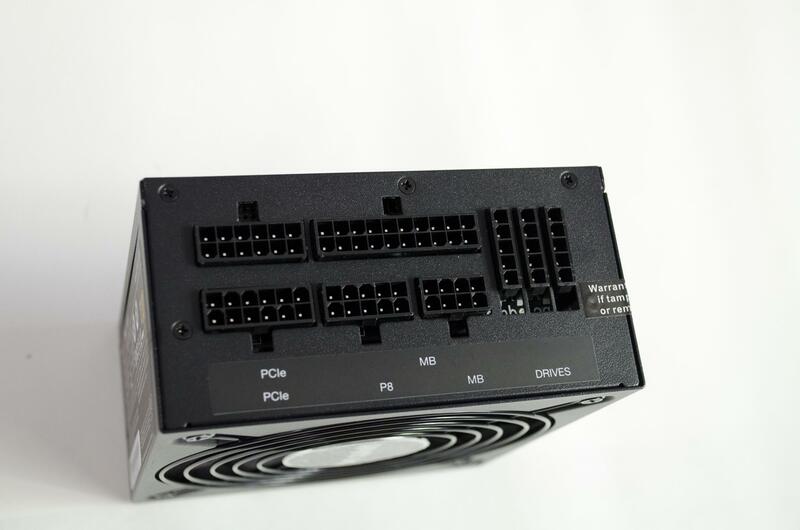 to offer their SFX L PSU range in a fully modular design. Coming in at around £95 here in the U.K., the SFX L offers good value for money. 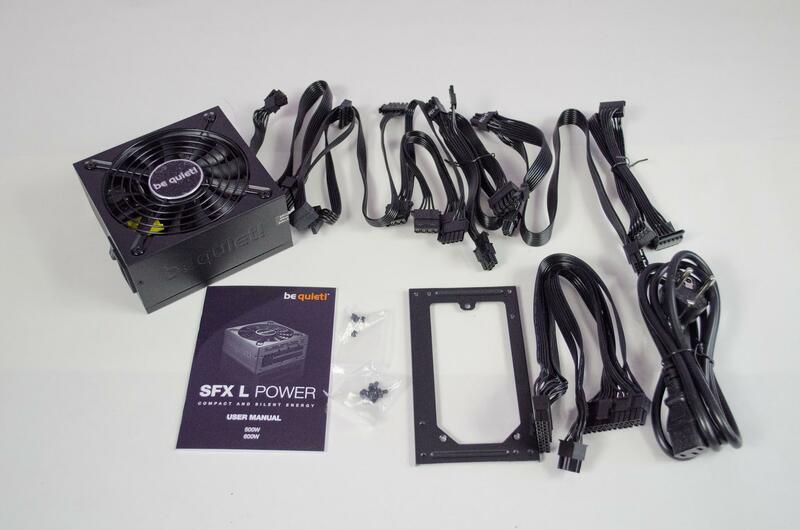 While you may be able to get a larger standard size PSU for a similar price, the extra work and components that needed to go into this makeup for the price. 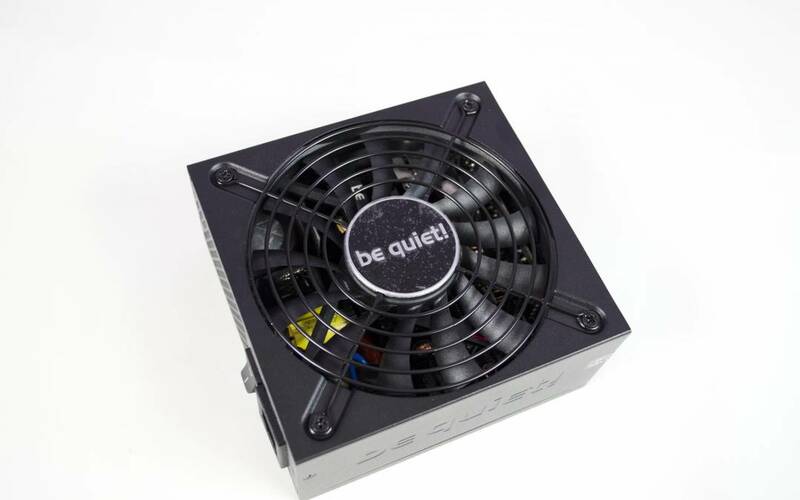 True enthusiasts and SFF users will know you can’t skimp out when it comes to the PSU and given the small size of this one, I don’t think many people looking for this type of PSU will have many complaints about the price. 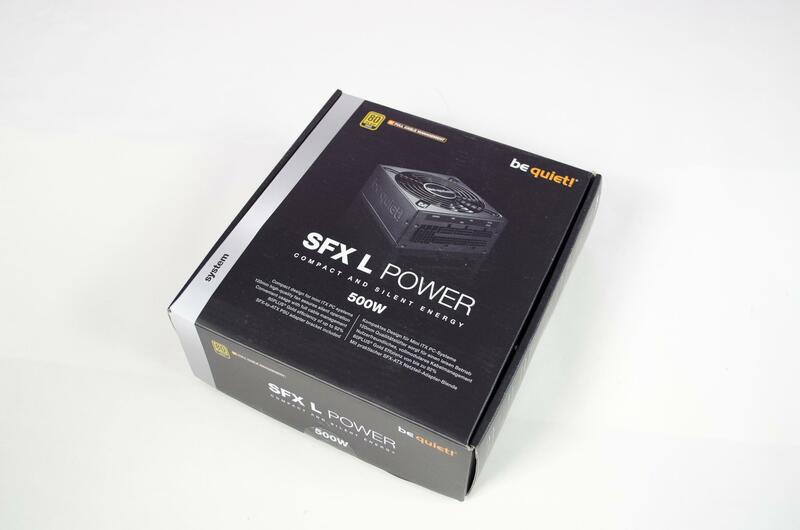 While you may be able to find other reputable SFX L PSUs for a couple £££ cheaper, they won’t have all the features that be quiet! has offered with theirs! Many thanks to be quiet! for sending in todays review sample!